Most of us have conflicting memories of our debs’ night. Some of us remember it as a magical evening full of glamour, prestige and socialising. However, there are those of us who are unable to bypass the psychological trauma of remembering things like the standard debs’ night “meal”, which normally featured a ball of beef, a meal you could pick up with a fork! Add to that the cheesy DJ and potentially the first true hangover of a young person’s life. It is a debate that threatens to rage on long into the future. The Grown Up Debs’ Ball is an annual event that was set up four years ago to aid and raise funds for the Irish Cancer Society, whose main headquarters are to be found on Northumberland Road, Dublin 4. The event is run by Diane Dignam, a volunteer who has run coffee mornings and other events for Irish Cancer Society in the past. The ball takes place on October 4th in the Gresham Hotel on O’Connell Street. NewsFour sat down to chat with Dignam about the ball and how the event came to be. The idea for the ball sprang from, as they often tend to do in this recreationally pious country of ours, a conversation in a pub several years back, “discussing life, love and the universe,” as Dignam puts it. Some of her friends mentioned that they had not been able to attend their debs’ ball. Dignam, who lost her own mother to cancer six years ago, used this as inspiration to recreate the debs experience for adults. The Grown Up Debs’ Ball in the Gresham Hotel features a champagne reception upon arrival, a four-course dinner and a late bar and DJ. 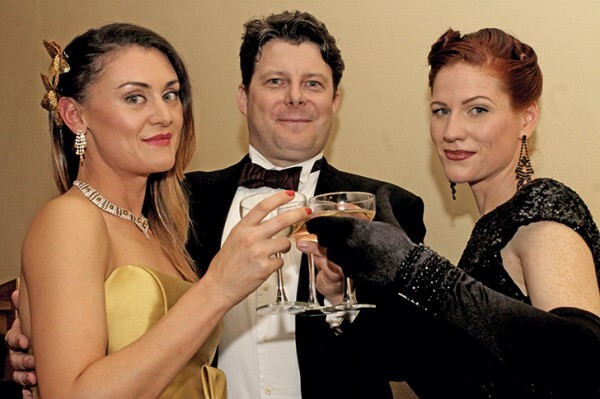 The Grown Up Debs’ Ball had its premiere in the Hilton Hotel four years ago before moving to the Gresham, and has proved to be a success ever since, attracting an average crowd of between 80 and 100 people each year. A similar crowd is anticipated at this year’s event, despite the economic climate ensuring that the art of penny-pinching is often par for the course these days. “A lot of people come purely because of the charity that it is. Some of those have been personally affected, so in that way they’re giving money to the charity as well as getting a good night out,” Dignam stated. All of the event’s profits go to the Irish Cancer Society. Dignam has been involved with the Society for several years now and spoke of their support for the Grown Up Debs’ throughout the years. Tickets for the Grown Up Debs’ Ball are €65 but NewsFour readers can get a 10% discount with the promo code ‘GUDB14’.